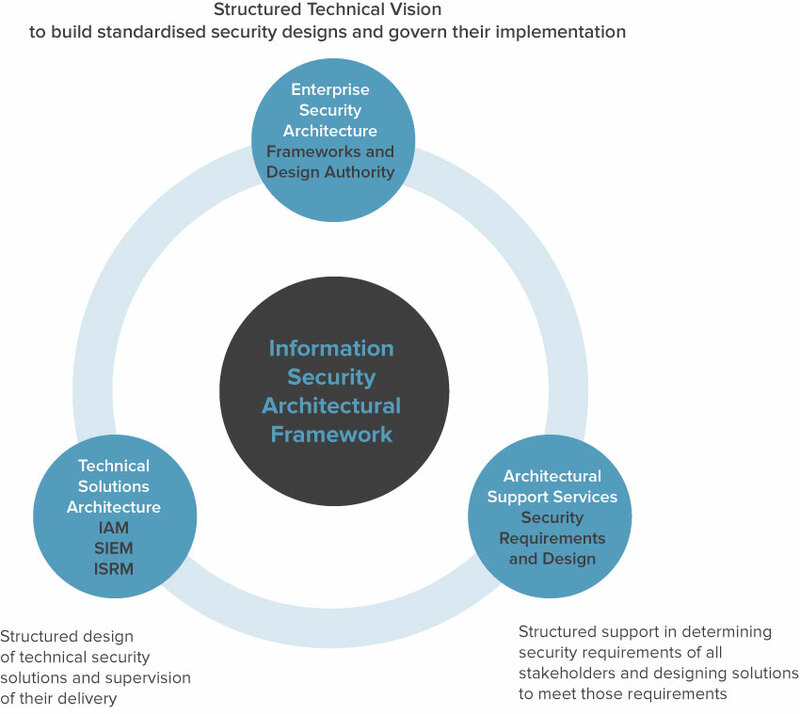 Our Information Security Architecture Framework assists Security Leaders, CIOs and other C-Level executives in assessing, redesigning or establishing Enterprise Security Architecture Frameworks and Design Authorities to ensure their appropriate governance. Security design, and the implementation of technology services to support the business requirements of an organisation, is complex. It is important to ensure that technical solutions are designed and implemented in a secure manner – and are based on a solid foundation of Security Architecture principles. Many of the security services required to implement technology solutions will also benefit from being designed and implemented in a consistent manner across the organisation. We also assist our Clients with technical IT Security design services focused on process as well as technology, the development of IT Security Architecture Frameworks and the supervision of their delivery and implementation. We can assist our Clients over the mid- to long-term in the independent supervision of Security Architecture functions and their governance through the representation Information Security on the relevant design authorities.